I was impressed to see for the first time an environmental friendly packaging for a take-out of a fast food chain. 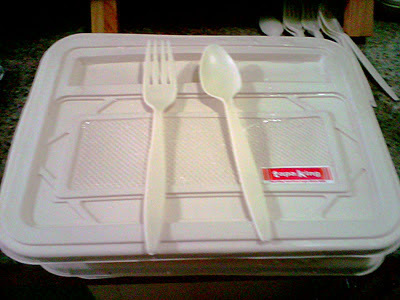 Tapa King here in Pasig City had impressed me with their food container. It was in fact a usable container which could be used on a daily basis if you want to bring your own food at work, in school or when going somewhere else. 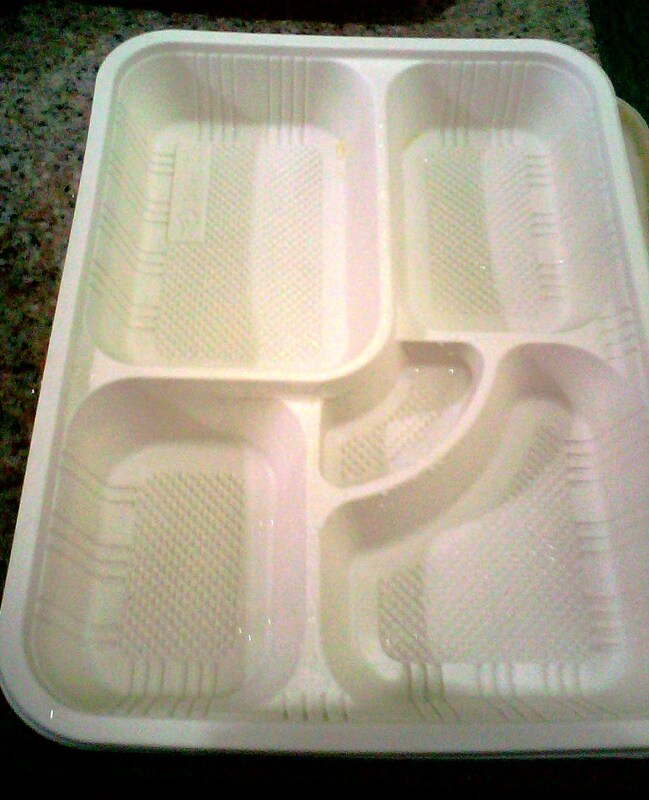 The Tapa King food container contains five sections. It could be for food, rice and sauce. The food container is composed of a high-end plastic material which could be used for a long time when properly cared for. So why is Tapa King doing this? Well, this particular branch of Tapa King is located in Pasig City. Pasig City is honestly the first and only serious green city in Metro Manila and probably in the Philippines. Their ordinance prohibits the use of plastic in any establishments except for very rare occasions. So, kudos to Tapa King and kudos to Mayor Bobby Eusebio of Pasig City in the Philippines!